TICKETS FOR SHAKIRA AVAILABLE, FOR NEXT TUESDAY EVENING, 14TH DECEMBER. THE TICKETS ARE FOR THE SEATED AREA . THE CONCERT STARTS AT 8.00 IN THE EVENING.PRICE IS FOR TWO TICKETS OF FACE VALUE £51.50.EACH..
Women's Nightfall Ugg Boots 5359 Chestnut The Uppers of Women's Nightfall Ugg Boots 5359 Chestnut are twin- faced sheepskin with suede toe and heel guards. Insoles are removable and replaceable.Endurable mould shape rubbery sole and luxurious fur with individual character of a simple wrap around lace design with wooden beads, let your winter be warm and fashionable. Women's Ugg Boots Tall 5815 Pink UGG® Australia's Classic Tall ugg boots for women features lavish Double Faced Merino Sheepskin for the utmost comfort. These sheepskin boots are extremely warm, soft and comfortable, as the sheepskin is providing excellent insulation against the cold, but also absorbs excessive moisture while letting your feet breath. keysafe/holder fitted and no vat charged. comes with your own unique 4 digit number which only you and your choice of freinds closest family and carers will have access to. ONLY £59.95 local fully insured locksmith covering lancashire and gt manchester area. other jobs undertaken- lock changes, locked out, upvc problems, door repairs, security checks, window locks, padlocks, digital locks, garages, shutters, and all other lock related problems. * Product ID: 053416 * Ethnic Group: Dan (?) * Price: $120.00 * Shipping: $12.90 * Quantity Available: 1 Type of Object: Ceremonial or Status Collar Ethnic Group: Unknown Country of Origin: Liberia, Ivory Coast (?) 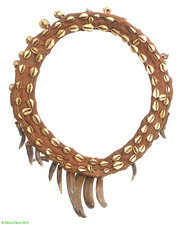 Materials: animal teeth, cowrie shells, cotton cloth, vegetal fibers(?) Approximate Age: 20th Century Dimensions: 12 inches round Overall Condition: Most of our pieces have spent decades on at least two continents, and have been treasured by several owners. used but as new gel nail kit includes: 9 watt curing lamp, 500 clear tips, 500 lime green tips, 500 bright yellow tips, 500 bright blue tips, 900 baby pink tips, 500 clear pink glitter tips, 200 natural tips, 70 hot pink zebra tips, 500 clear blue false toenails, 500 bright orange false toenails, 29 pots of glitter, 2 large pots of glitter, multicoloured diamond wheel, tip cutters, 13 sheets of various transfers, 11 bright coloured gels, packof silver hologram hearts, pack of nail art brushes, rose cuticle oil, pot of purple flower diamonds, pack of nail guides, nail brush, metal nail file, . Cream floral sofa Cream 3 seater sofa with pink and green floral pattern. Excellent condition. Buyer to collect. Phone for pictures £100.00 ono. smoked glass plsma tv stand large smoke glass plsma tv stand very solid and heavy will take any tv up to 50 inch wide only 3 months old £65.00 no offers. Blackburn ads Blackburn, All categories classifieds Blackburn, All categories free ads Blackburn, ads for sale Blackburn, ads to buy Blackburn, FREEADS in UK Blackburn Page number 9-1. Find here ads for sale, to buy and rent in Blackburn. Goods for sale in Blackburn, vehicles for sale in Blackburn, Blackburn real estate for sale, Blackburn property for sale, property for rent in Blackburn, business ads in Blackburn, Blackburn business classifieds, services in Blackburn, Blackburn services ads, jobs in Blackburn, pets for sale in Blackburn, Blackburn dating, Blackburn cars for sale.